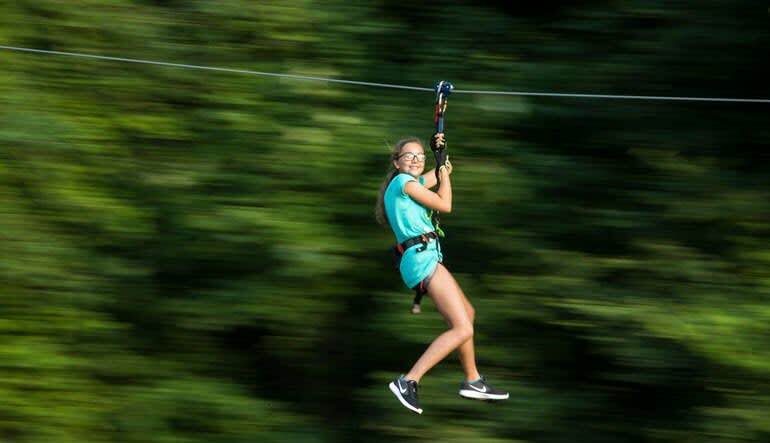 Expertly designed and built in Pittsburgh's North Park, this zipline and canopy tour has you traveling 41 extraordinary crossings and soaring treetop to treetop on 5 exhilarating ziplines! Test your balance and reach with this treetop adventure! 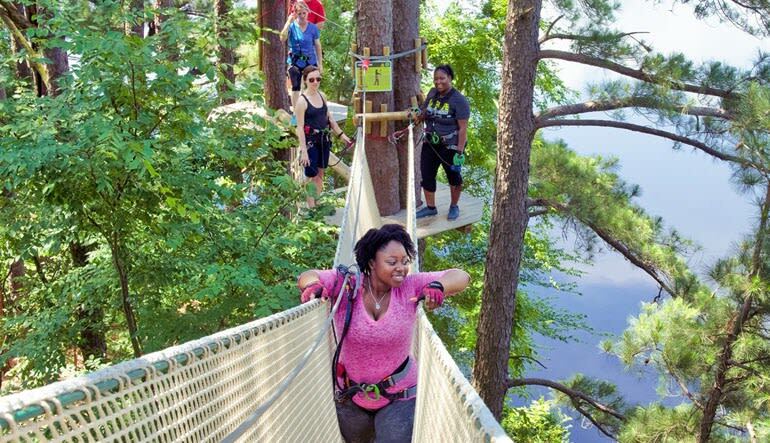 Expertly designed and built in Pittsburgh's North Park, this zipline and canopy tour has you traveling 41 extraordinary crossings and soaring treetop to treetop on 5 exhilarating ziplines. Step off the beaten trail and explore Pennsylvania's breathtaking landscape in one of the most unique ways possible. You'll navigate through the Pirates Crossing, Chantemerle Bridge, and 2 Tarzan swings, all offering picturesque views of the nature surrounding your zipline course! 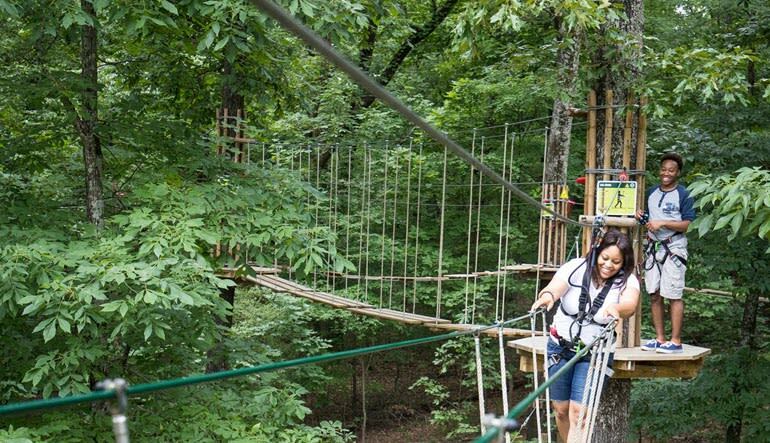 Take a 2 to 3 hour zipline and canopy tour in Pittsburgh's North Park! Start off with a safety instruction and harness up for the big adventure. Travel 41 unique treetop crossings! Feel the wind rush through your hair on 5 daring ziplines! Hold on tight like Tarzan as you swing from one platform to the next! Pennsylvania's zipline and canopy course offers hours of fun and is only a 30 minute drive from the heart of Pittsburgh. Book now and make your way out there this weekend! They were very pleasant and ready to hoist myself up when I could not climb the first cargo net. I was very happy ? ?